It was unseasonably warm and sunny in my part of the UK yesterday, so this called for some summer-style cooking. There’s no denying that pesto sauce in a jar is very handy and perfectly good, but for something a little more special, the fresh home-made variety is far superior. And it’s so quick, you can make it in the time it takes to cook some pasta – then just stir it into the hot pasta and voila! This quantity makes about what you need for two people. You can make more and store it in a jar in the fridge, topped with some extra olive oil, for up to two weeks, but I prefer to just make what I can use at the time. 1. Place the pine nuts in a dry frying pan and toast gently over a low heat, shaking the pan regularly. You want to them to just turn a little golden, not get too toasted, so keep an eye, they only take a couple of minutes. 2. Place pine nuts in a food processor along with the other ingredients, apart from the salt and pepper, and whizz until desired consistency is reached, it’s good to keep a bit of texture in there. Alternatively, you can make it in a pestle and mortar by smooshing the pine nuts and garlic together and then stirring that well into the other ingredients. I try and make a lot more stuff myself these days than I used to. It doesn’t necessarily take much longer, often I find it’s just about being more organised when shopping! Are little fairies and goblins of Halloween still hanging around? Maybe it was them. Looks both easy and delicious, a favorite combination! Yep, what’s not to like? 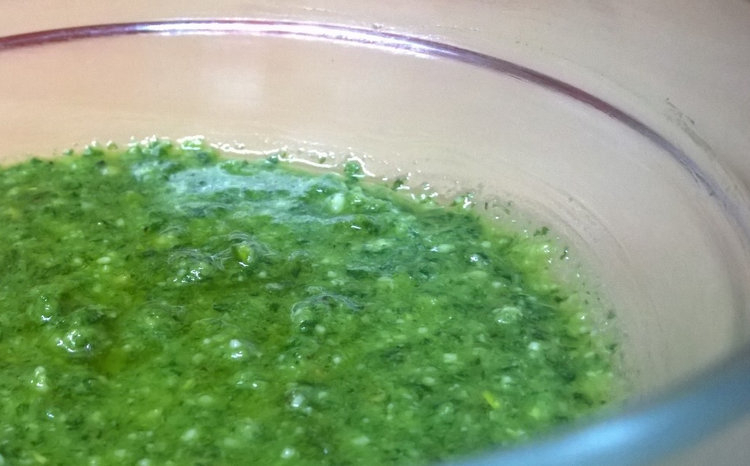 I love pesto, and I wonder if I could get my husband to go for this at least once…. He’s not as big a fan as I am. And there’s absolutely no other way to buy Parmesan cheese! That shredded “stuff” in the green cans is not real! 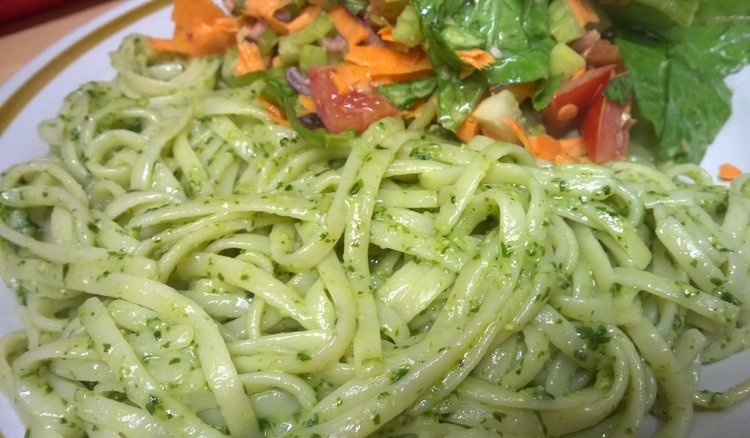 Yes, see if you can change his mind about pesto with a nice fresh homemade one! I agree about parmesan, but the fact that the other stuff is still on sale shows that not everyone agrees with us! What a pretty sauce. I love pesto, and this looks easy to make! Yes, super easy and really so much nicer than pesto in a jar (don’t get me wrong, I use the jar stuff too most of the time! ).